Stripping and re-sealing Mexican Pavers. Grout sealing helps retain original color of grout and resists staining. Grout cleaning by hand protects the integrity of the grout. Grout recoloring restores discolored grout. Prolong life of natural stone and protect against staining. Seal Systems serves Dallas, Texas and the greater DFW areas. providing Mexican Pavers and Saltillo Tiles refinishing and restoration services. In addition to our flagship pavers restoration, we also provide grout cleaning, grout sealing, grout recoloring and stone cleaning. Our purpose here is to provide some basic information about the company and the services provided. As you look over the Web site jot down any questions you may have relative to your particular Mexican Pavers or Saltillo Tile Restoration or any other project. We will be happy to spend time with you on the telephone or in person to assure that you are well informed on the procedures and techniques to be utilized on your job. At Seal Systems quality control is our priority. Your home or commercial property is your most important investment, our job is to help you enhance the appearance of, and protect the value of your home or commercial property. Seal Systems has been engaged exclusively in the sealing of tile, grout, stone, and brick over 30 years, longer than any company in Texas. Tyler Norman, C.T.C. president of M.G. Norman Inc.-Seal Systems is certified by the Ceramic Tile Institute of America as a Ceramic Tile Consultant (C.T.C.). For many years he served on the Ceramic Tile Institute technical and job problems committee. He personally dictates all procedures and products used on each and every job. Seal Systems is state licensed (#538035), bonded, and fully insured. ProBuilders Specialty Insurance Company insures us for two million dollars of general aggregate Preferred Contractors Insurance Company. Our workers compensation insurance is with Texas State Compensation Insurance Fund. Our insurance is with Progressive Insurance Co. Company president Tyler Norman is well respected in the tile industry and actively works with the top sealer manufacturers to help them improve and develop products. All materials used by Seal Systems are tested for a minimum of six months before they are used on a customer’s floor. We have established open lines of communication with the head chemists and technical directors for each of our chemical suppliers. . We use only permanent employees, each is trained in the proper application technique for every product used. More importantly, each crew leader is trained and experienced in the selection of the appropriate product and method to be used in each individualized situation. Seal Systems is committed to using only the highest quality products and methods in your home or commercial property. This commitment is made possible only through the continual education of each employee from top to bottom. All work is fully guaranteed and no money is asked for until the job is complete. 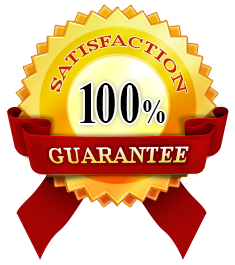 Our guarantee is backed up by our more than thirty-two years engaged solely in the stripping, cleaning, recoloring, and sealing of tile, grout, and natural stone.